First opened in 2016 and has ever since been widely accepted by children who came from all around the world, we continue to believe chess is one of the best games to develop children’s intelligence. We also believe every children, regardless their nationalities, should be given the opportunity to learn chess and how to apply this game in life. 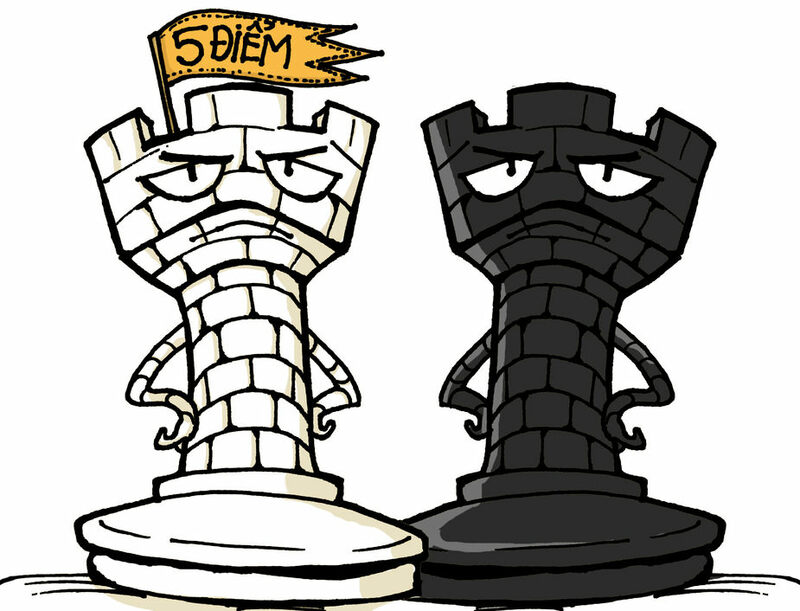 Hence, we have developed our bilingual chess program to serve that purpose. 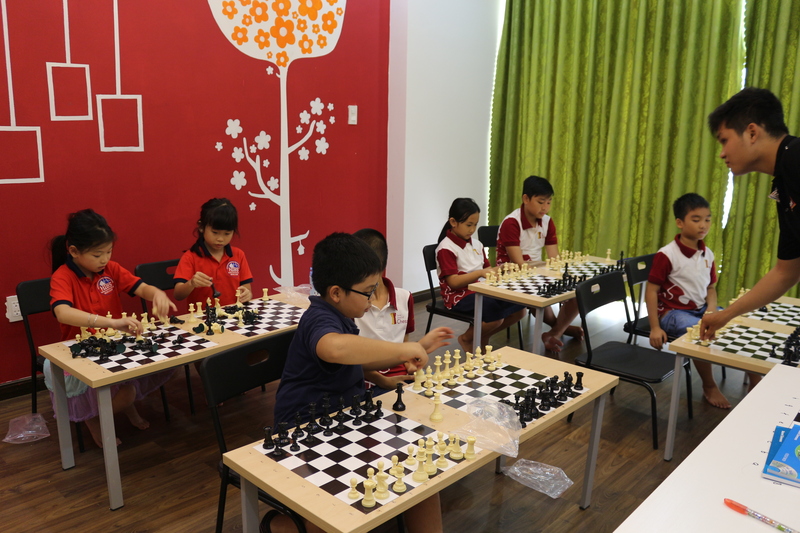 Genius School of Chess is not only the school where children can learn chess from the masters, but also the place where they can hang out with friends after class, reading books and playing chess. It’s also a place where children can come for a Friday Movie Night (free of charge) or a Saturday workshop while their parents can enjoy some little free time for themselves. 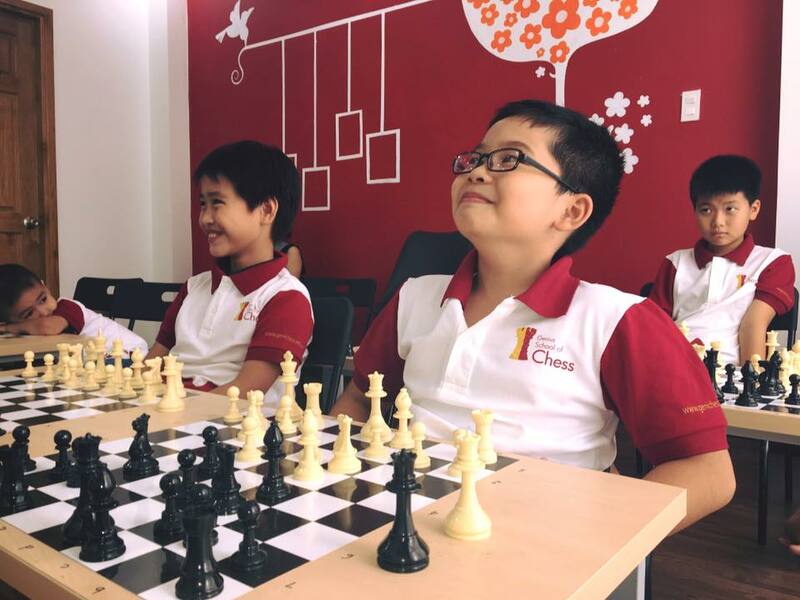 The Genius School of Chess (GSC)’s program ensures the best quality by the BILINGUAL (Vi-En) curriculum, exclusively and only in Vietnam: “Genius Brain with Chess”, developed by GSC educational team led by Dr. Duong Thanh Binh, Doctor in Education – Head of Chess Department, Hochiminh City University of Sport. With this program, the school aims to achieve maximum development capabilities as well as the student’s language ability just by playing chess. With only max. 8 students, all with the same chess level in a class, we want to ensure the quality of our teaching and learning. Also, with modern facilities, decorated dominantly with vivid red (color stimulates brain), along with fun activities corner for children, we want to show our desire of creating not only a place for children learning, but also a safe playground, cozy and good for the students to meet friends and join social activities. Our team consists of young educationers from different countries who have the same passion and dedication for young children education. Under the instruction and advisory of Dr. Duong Thanh Binh, Doctor in Education, Head of Chess Department – Hochiminh City University of Sport, we prioritise the development of our students by commiting in continuously improve our teaching and facility quality. 1. 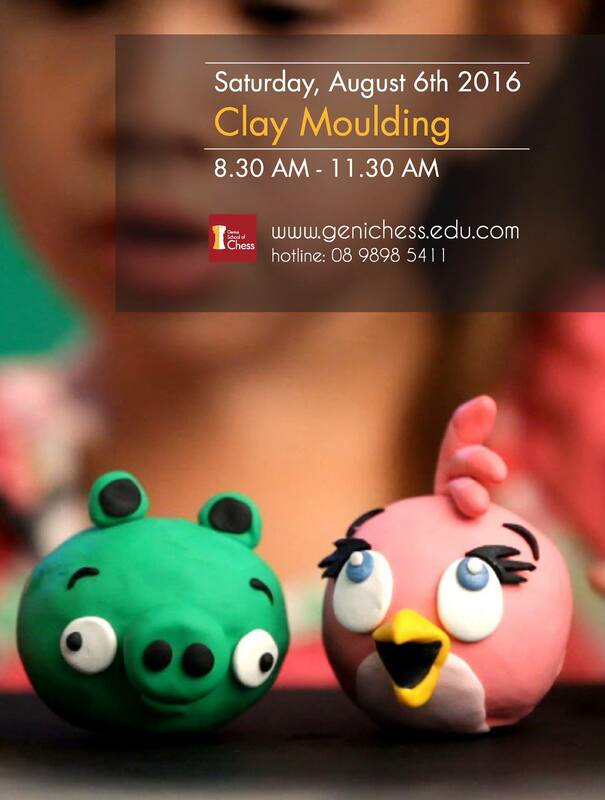 Focusing – Children are taught the benefits of observing carefully and concentrating. If they don’t watch what is happening, they can’t respond to it, no matter how smart they are. one, then several moves ahead. 3. Thinking Ahead – Children are taught to think first, then act. We teach them to ask themselves “If I do this, what might happen then, and how can I respond?” Over time, chess helps develop patience and thoughtfulness. 4. Weighing Options – Children are taught that they don’t have to do the first thing that pops into their mind. They learn to identify alternatives and consider the pros and cons of various actions. 5. Analyzing Concretely – Children learn to evaluate the results of specific actions and sequences. Does this sequence help me or hurt me? Decisions are better when guided by logic, rather than impulse. 6. Thinking Abstractly – Children are taught to step back periodically from details and consider the bigger picture. They also learn to take patterns used in one context and apply them to different, but related situations. 7. Planning – Children are taught to develop longer range goals and take steps toward bringing them about. They are also taught of the need to reevaluate their plans as new developments change the situation. 8. Juggling Multiple Considerations Simultaneously -Children are encouraged not to become overly absorbed in any one consideration, but to try to weigh various factors all at once.